GREENVILLE, Ky. — In a competition there is one thing that is certain: only one winner will prevail. The Kentucky National Guard’s 2016 Best Warrior competition is no different. Only one Soldier, NCO and Senior NCO is named with the top honor at the conclusion of the strenuous three-day competition. A gauntlet that puts the NBC-hit American Ninja Warrior TV competition to shame. 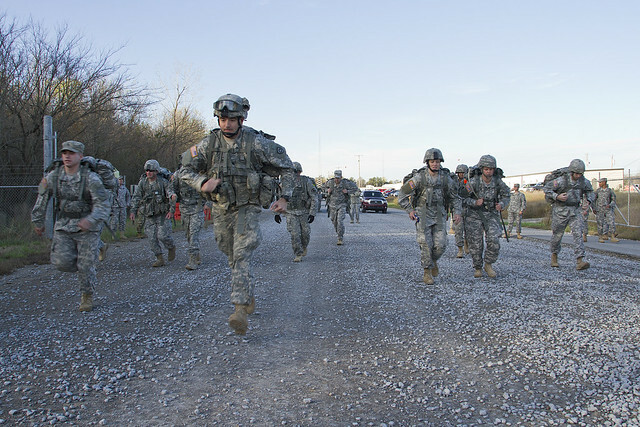 But as the leaders who competed and supported the competition learned, one person may come out on top, the Kentucky National Guard is one team. “I learned that no matter what unit you’re from, at the end of the day we are all Soldiers,” said Sgt. Amanda Marlow, human resources specialist, Joint Force Headquarters NCO of the year. It wasn’t just competitors who kept each other going. Marlow said State Command Sgt. Maj. David Munden was instrumental in keeping her and other Soldiers focused on finishing and not giving up. It is the Warrior Ethos, engrained in each of the 2016 competitors, that makes the Best Warrior challenge different than other competition. Never leaving a Soldier behind may be associated with battle scenarios, but it holds true even in competition. It is knowing that you’re only as strong as your weakest link, and digging deep to help make the weak stronger. For Sgt. Christopher Jones, infantryman, Delta Company, 1st Battalion 149th Infantry NCO of the Year and the 2016 Kentucky NCO of the year, this year’s ruck march was a poignant reminder of the Ethos. “I’ve never had that much competition before,” he said. “For the whole five miles, it was three of us, just constant. He was ahead of me, I was ahead of him, it was the worst. But we couldn’t quit. It pushed us harder. Spc. 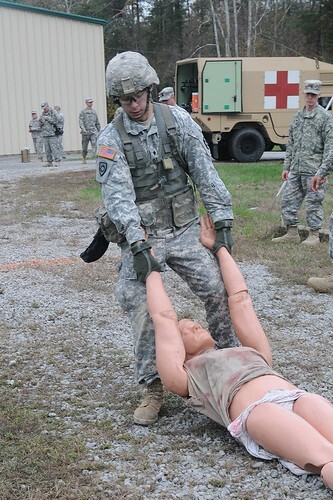 Jacob Heath, a medic assigned to Delta Company, 1st Battalion, 149th Infantry and the 2016 Kentucky Soldier of the Year, said this experience was fun and value-driven. “Even though we were in competition, I respect the hell out of these guys,” he said. For 1st Sgt. Josh Baker, first sergeant of 299th Chemical Company, 149th Maneuver Enhancement Brigade, as a senior leader and Kentucky’s NCO of the year for 2016, he said hopes that this experience makes the competitors stronger leaders and in turn, that trickles through the ranks. “I think that sometimes we get caught up in our day-to-day with the Guard and we forget what a privilege it is to serve with other Soldiers,” Baker said. “This weekend, the caliber of Soldiers who have been here has reminded me, again, what a privilege it is to stand in front of them. Baker said he hopes to take his experience from this competition and create unit-level competitions that will not only prepare his Soldiers for future Best Warrior events, but also build the esprit de corps among his ranks. The 2016 Kentucky National Guard’s Best Warrior competition was held Nov. 5-7 at the Wendell H. Ford Regional Training Center in Greenville, Kentucky. 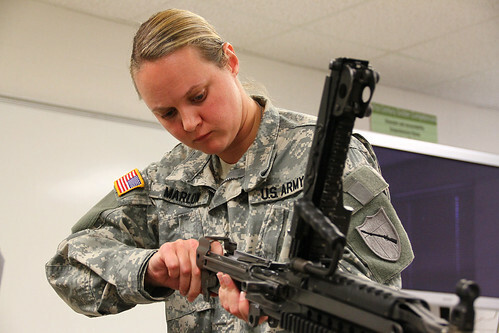 Fifteen Guardsmen competed for Kentucky’s top enlisted honor.